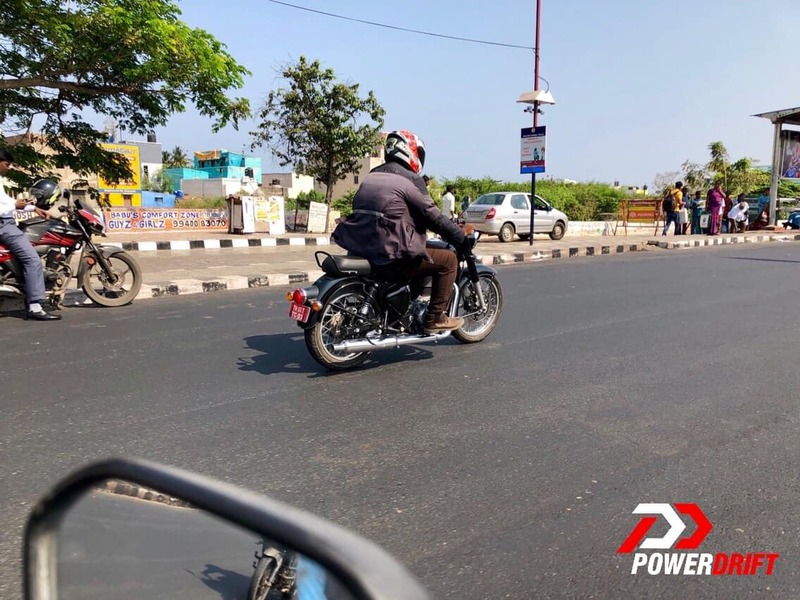 A heavily updated version of the Royal Enfield Classic variant has been spotted during a public road test on the streets of Chennai. 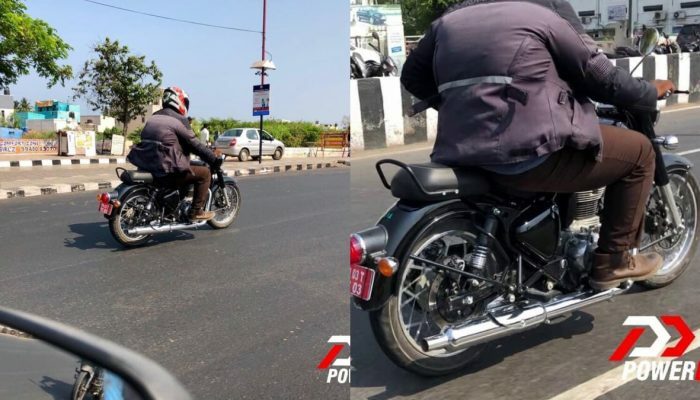 Two images shared on the web reveal a number of cosmetic and mechanical changes that have been made to Royal Enfield’s most popular model in the Indian market. 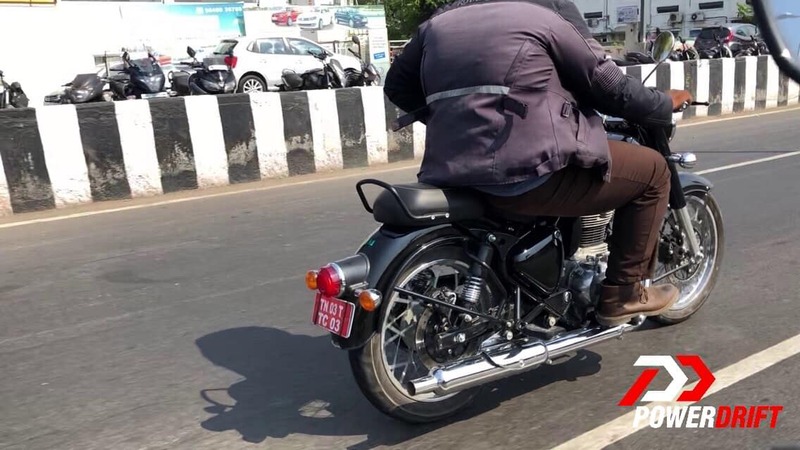 As seen in the spy images, the upcoming Royal Enfield Classic range will receive a reworked and now sleeker version of the tail section that houses a chrome bezel around the tail light as well as circular turn indicators. The shape of the pillion seat too has changed and now appears to be more rounded while the grab rail is now longer and positioned higher for better ergonomics. In the mechanical department, the new RE Classic model will feature a disc brake at the rear, while both the discs could be ABS equipped. With the addition of the disc brake to the rear, it has been positioned on the right side of the motorcycle while the chain has moved over to the left side. The exhaust of the bike has been shortened in length, and this could be something to do with the new BS-VI emission compliant motor that is likely to be powering the test mule. The gas charged shock absorbers on the outgoing model of the Classic range seems to have been replaced by a set of conventional units. The kick-start lever for the motorcycle also seems to be missing although it cannot be completely ruled out as it can be hiding behind the rider’s leg as seen in the spy image.